Ribbon apps range from "Hello World" to sending a gift card via Outlook. Slowly, Microsoft Office is becoming a platform—and with a future update that allows you to pin apps to the Office ribbon, that message will be front and center on your monitor. 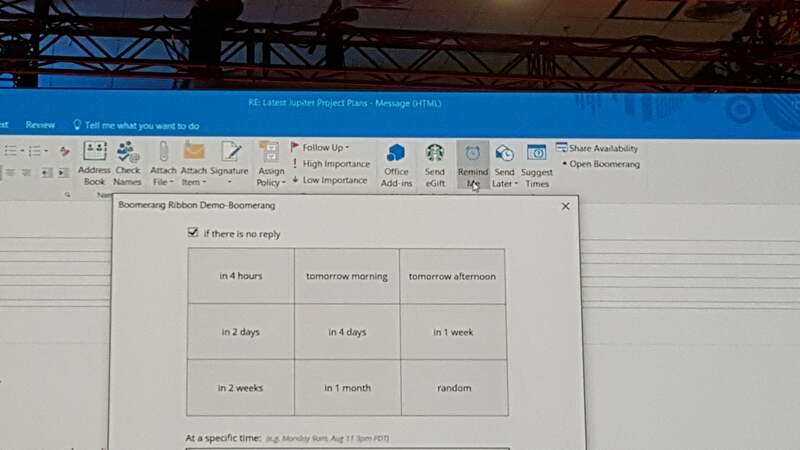 Developers will be able to build apps and place them directly inside the ribbons of Excel, PowerPoint, and Word, said Qi Lu, executive vice president of the Applications and Services group, during a keynote during the second day of Microsoft’s Build conference in San Francisco. Extensibility has become more important to Office, simply because a number of rivals have successfully duplicated its basic productivity functionality. Because of that, Microsoft has worked to add business intelligence to the Office platform, as well as to tie other services to Office. One early example was Insights for Office Online, which added a Bing sidebar that was later incorporated into Office 2016. 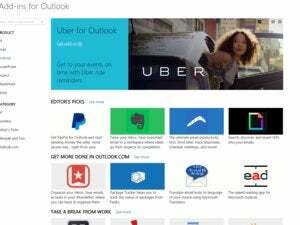 Last August, Microsoft tied Outlook to services like Uber and PayPal. When a user clicks this Boomerang-authored button, the user can suggest changes to a meeting. More recently, Microsoft set out to launch what it calls “Connectors” to other services. Connectors add data from other applications directly into Office, without the need to import them; Microsoft launched a developer portal to bring connectors from as Asana, Salesforce, Trello, Twitter, UserVoice, and Zendesk into the Office space. With the new Office ribbon, however, Microsoft and app developers can go a step further. “It allows you to design apps with the look and feel that they belong to Office,” Arenas said. Buttons can be added to Excel as well. 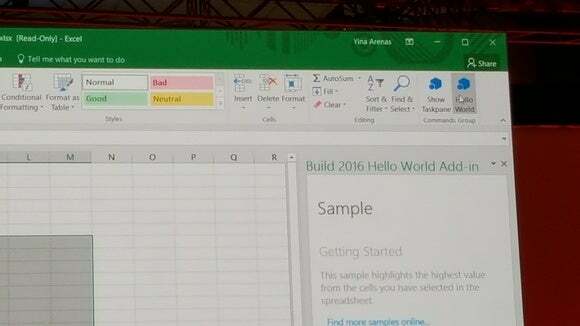 Arenas showed off a basic “Hello World” button inside Excel, but then moved to Outlook. There, a service called Boomerang coded menu options that allow users to quickly compare calendars and schedule meetings, all using native Office dialogs. All of them will work with Office for the Web, Windows 10 PCs, and now the Mac, Arenas said.